3. Thats also a good indication that there is something wrong. how long are your wires. 4. I mean a cable like this. In that way the current return route is better. And your signal will become better. But I think you should use a extender. Like in my previous post. Ah, my I2C cables are 'only' about 2 meters long, three wires 'casually twisted' together, as shown in "A" of the picture below. I think I might only consider I2C extender when the wires are over 20 meters long. Now I think I should not have twisted the ground wire and signal wires together. Ah, now I understand what you mean by 'twisting'! Perhaps I should make the cable shorter and test again. The cable you referred are 'twisted pair' cables. I always thought they are small guys, not important at all. I never thought I should pay any attention to them. Now I should think again. Thanks for pointing out my carelessness. Last edited by tlfong01 on Sat Aug 11, 2018 3:09 pm, edited 1 time in total. 4. And did you twist the clock with a ground and the data with the ground? 4. What do you mean by "twist the clock with a ground and the data with the ground?" This is indeed hard to guess. I said it was hard to guess what do you mean by twisting, because I have not read about the term 'twisted pair' for more than 10 years. 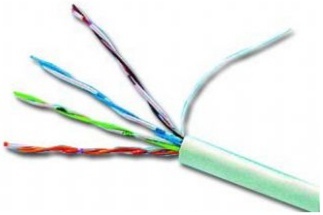 In those days when everybody used Cat 5 cables, I heard the term twisted pair often. But now I used WiFi dongles, and now Rpi3 and RpiZeroW has Wifi. So I forgot Cat 5 altogether. I remember I still have a couple of used Cat 5 cables. So I will try them later. I have colourful bright yellow and bright orange cables. I think even they are not proved that useful, I will still use them in my project, and display them in my project photos, to show off that I am knowledgeable in telecom things. Well. Two meter is already a lot. I successfully used with a cable of one meter. And your level shifter is designed for "driving" PCB traces. And not a large cable. So, I think you can forget about the 20 meter with a good reliability. TI recommends careful PCB layout practices with short PCB trace lengths to avoid excessive capacitive loading and to ensure that proper O.S. triggering takes place. 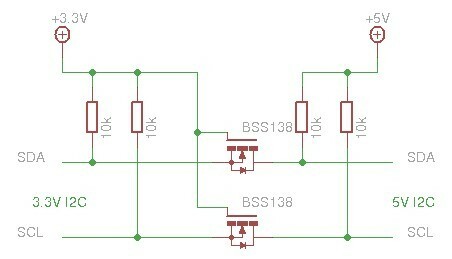 PCB signal trace-lengths should be kept short enough such that the round trip delay of any reflection is less than the one-shot duration. This improves signal integrity by ensuring that any reflection sees a low impedance at the driver. The O.S. circuits have been designed to stay on for approximately 30 ns. The maximum capacitance of the lumped load that can be driven also depends directly on the one-shot duration. With very heavy capacitive loads, the one-shot can time-out before the signal is driven fully to the positive rail. The O.S. duration has been set to best optimize trade-offs between dynamic ICC, load driving capability, and maximum bit-rate considerations. Both PCB trace length and connectors add to the capacitance that the TXS0102 device output sees, so it is recommended that this lumped-load capacitance be considered to avoid O.S. retriggering, bus contention, output signal oscillations, or other adverse system-level affects. my I2C cables are 'only' about 2 meters long, ... I think I might only consider I2C extender when the wires are over 20 meters long. But I once read an ElectronicsStackExchange guy saying that he can do I2C 100 meters! Let me goggle what he says. I work for a company making USB sensors. Most of them are based on I2C sensor chips, those devices can be split in two, so you can install the CPU part in one place and the sensor part in another. We conducted quite a lot of tests on the I2C connection between the device CPU and the I2C sensors. At 100 kHz, with a good error recovery protocol, 25m can be easily reached using basic wires. We were even able to reach 100m once with CAT5 cable. - martinm answered 2014apr12. I found GpioA not working properly. So I switched to GpioB, and found it more or less OK. I found there is some interference between GpioA and GpioB. So I decided to test only GpioB. I also found me too ambitious to get the DHT22 Start Signal OK. I think I better go slowly. Now I am doing something not so ambitious: toggle GpioB, use writeByte and writeBlock commands. They more or less work. I need to swap MCP23017 #1 with #2 or #3 to make 100% sure. Last evening I found intermittant, seemingly interference prolem when writing to GPIOA, so I swapped to GPIOB. Now I am thinking of also swapping between 3 MCP23017s and long/short I2C cables. For block writing to GPIOA - 4 continuous, no time gap bytes 0xff, 0x00, 0x00, 0xff. I have listed the minimal, complete, verifiable, no problem, example below. Again, don't bother to read the details now, because the whole program still needs more polishing. Perhaps just skimmed through to get a rough picture. # Byte mode       = disable automatic Address Pointer incrementing. # Sequential mode = enable  automatic Address Pointer incrementing. # Reading GPIOn register read the value on the port. # Reading OLATn register only reads the latches, NOT the actual value on the port. # Writing to the GPIOn register actually causes a write ot the latches (OLATn). # the level in OLATn. #   "OSError: [Errno 121] Remote I/O error"
End   write block GPIOA . End   write block GPIOB . I changed the repeat loop pauseMilliSeconds from 2 to 4, the intermittant transmission error messages disappeared! I was wrong. The i2c transmission error messages reappeared. I need to modify the test program to make it easier to change the between-write-block-milliseconds. The test program now becomes very high level and therefore reader and tester friendly. I attach the complete list of the 350 lines long the MCVNE program. Again, it is not that reader friendly and need more polishing. Next post I will show some more test results. # update 2018aug12hkt1208: setting pauseMilliSeconds to 5 seems solving the problem. End   write block OLATB . Now the results of the two test functions. Next post is the real thing - DHT22 Start Signal! I forgot how the real thing should look like, so I searched my image box of imgur.com. typical 1mS, max 20mS low, typical 30uS, max 200 uS high. And the results is as attached. I expected all 8 pins of GPIOB should have 8 Lows, followed by 2 Highs, then 4 Lows. However, only GPIOA pin 4 and pin 7 shows the output below. All other pins are either all high or all low. I guess there is a bug in my MCP23017 hardware wiring. But I did checked it with a blink test. Perhaps I need to do the blink test again. Well, I think that your mcp only need to drive the singal low, and after that the output can be changed into a input. And the DHT22 will give that short pulse. But, the problem with you is that you are using a level shifter and he can't drive that length of a cable. The prove is in that when you connect a scope probe to the bus, you signal is dead. And that's normally not a problem. I think you need to go a couple steps back. Al least in the hardware side. I think you should remove the level shifter. And connect the MCP directly to you pi at a voltage of 3.3V with a short connection. Than you can see if there is a software problem or the level shifter is the problem. Also because the signals at you scope contains a lot of noise. I already removed the problematic hc04, and the 2 meter long i2c wires from txs40e to hc04, and see how it goes. I would start here. Than you have less variables. And easier to troubleshoot. If that's is working like a charm. Than you can go back to the old situation. If that's not working. You know that the software is okay. And the problem is in the hardware. I agree. So I need to read the level shifter datasheet once more. 1. I would start here. Than you have less variables. And easier to troubleshoot. If that's is working like a charm. Than you can go back to the old situation. If that's not working. 2.You know that the software is okay. And the problem is in the hardware. 1. I agree it is easy to debug from bare Rpi, adding hardware and software bit by bit. Now I am thinking of keeping the current Rpi hardware and software no change, and start with a fresh new Rpi, and TXS0104, MCP23017 and incrementally retest everything. 2. Well, the software is not OK. I am doing this project with one objective of practising python in general, and MCP23xYY specific. Now I am modifying the functions to make easier to repeat testing, and swapping MCP23017s. My MCP23017/DHT22 program works more or less, but there are a lot of imporvement I should make. For example, after the frequent I2C transmission error, the program terminates. I need to learn how to use try/except to continue program after error. This try/except thing seems good for my case. I did not use it before because I was too lazy, and also I did not have any program that gets error message and unexpectedly stops so often. One other reason is that many example programs I found are C++ object oriented. I prefer python and only functional programm style of python for many reasons. It is a bit messy to translate C++ OO code into python functional programming style. I am just thinking aloud, typing while thinking. My apologies for typos unstructured paragraphs and phrases. OK. I agree my level shifter has a problem, and I don't know why. I am feeling small. So I asked my friend Google who will for sure makes me great again. The more I google, the more I agree with you. Many thanks for your advice and recommendation. So I have ordered 20 pieces of P82B715 (DIP8) from TaoBao, at RMB 8 each. SF Express delivery usually takes less than 2 days. BTW, I mentioned I read people saying they are do I2C up to 100 meters, I think they all use I2C extenders plus twisted pair cables. I also read other people saying that they can only do I2C for only 6 inches to 20 inches. Some of them say that it depends on IC to IC. So I agree with you that less than 20 inches for no I2C extenders. Good to hear that you are making progress and do a research about what I'm saying . To be fare, I have used this schematic successfully with a ribbon cable for 1meter. But, this was a communication bus between two microcontrollers (atmel). The (N)ACK is a important part of the I2C protocol. BTW, I mentioned I read people saying they can do I2C up to 100 meters, .... I also read other people saying that they can do I2C for only 6 inches to 20 inches. Some of them say that it depends on IC. ... I have used this schematic successfully with a ribbon cable for 1meter. But, this was a communication bus between two microcontrollers (atmel). Your I2C with ribbon cable should look pretty. You might like to take a look of my work using the same circuit. I used 2N7000 instead of your BSS138, and GKT instead of ribbon. I think my GKT should be as good as UTP. I did the following test to prove my hypothesis. 4. Use $ i2cdetect -y 1 to detect IOX x 3 (0x21, 0x22, 0x23), and EEPROM, RTC (0x57, 0x68). 5. Use my little python function to ping IOX at sub address 0x22 (write, read, print IODIRA). 7. Then I used long 1 meter gkt cable, inserting at points before A, and at B, and C, to check any bad effects of 2 meters long gkt cables. 8. I found i2cdetect and my ping functions working OK.
9. This proves that 2 meter long i2c gkt cables are ok.
3. HDC1080 humidity and temperature sensor x 4. I wired up one HDC1080 and i2cdetect -y 1 found its address 0x40 without any problem. I read again the HDC1080 datasheet, and found their application circuit interesting. I like the manual things like 4 buttons and one LCD/LED display. I think I should also use buttons and display in my project. Now I am reading the registers and data format. HDC1080 - Now I am reading the registers and data format.